Obesity means having too much body fat. It is not the same as being overweight, which means weighing too much. A person may be overweight from extra muscle, bone, or water, as well as from having too much fat. Both terms mean that a person's weight is higher than what is thought to be healthy for his or her height. Being overweight is not in thing in today's world. Not because it makes you look unappealing but mainly because today's world needs healthy people to beat the competition arising in each and every field. Many people are overweight in this world. But most of them deny being overweight and enjoy living a life with healthy eating habits and lazy attitudes towards exercising and working out. By the time these people realize that they are overweight their bodies are full of some or the other illnesses and chronic conditions. If you are overweight the first step towards loosing weight is accepting that you are overweight and that you need to take efforts to becomes slim. This is like half the battle won. The next half part of the journey can be easily completed with the help of various home remedies for overweight. These remedies are simple and very effective. Also there are no side effects and hence you are not going to loose anything else but only your weight. Genetics – Some people are genetically more likely to gain weight than others. Obesity and weight-gain tend to run in families and while this is largely due to the poor family eating habits, it also points to a specific genetic link. Metabolism - Some people have faster metabolic rates than others do. Poor dietary habits, little exercise and crash diets all slow down the metabolism and make weight loss difficult. Psychological – Comfort eating is common problem that causes weight-gain. This can sometimes be due to boredom and inactivity, but is often linked to depression and low self esteem. Because food is often used as a reward or connected with a pleasurable experience, it becomes associated with good feelings and before long, food becomes akin to an emotional addiction. Social life – Modern living often means a diet of fast foods and quick energy needs. This can lead to weight-gain and many people find they soon become overweight due to inactivity and years of eating the incorrect foods. lifestyles – Lack of physical exercise is one of the leading causes of weight gain. With the introduction of computers, television, TV games and other technological advances that make life “easier”, we find that there is little necessity or even opportunity for physical exercise. Medical conditions – There are some medical conditions that can cause weight gain and obesity, for example: Hypothyroidism; , a common hormonal disorder in women. 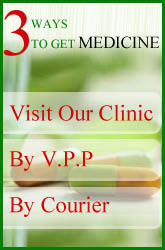 Side-effects of certain medication – Some prescription medications can cause you to gain weight. Examples include: corticosteroids; certain female hormone treatments including some oral contraceptives; some antidepressants, and other psychoactive drugs, Weight gain due to medication is usually temporary and generally does not lead to obesity proportions. Pregnancy – While weight gain during pregnancy is expected and essential for a healthy baby, many women struggle to lose weight after childbirth, commonly referred to as “pregnancy weight”. Quitting smoking. Most people who quit smoking gain 4 - 10 pounds in the first 6 months after quitting. Some people gain as much as 25 - 30 pounds. Menopause -- women may gain 12-15 pounds during menopause . Not-- losing the weight they gained during pregnancy . Obesity is a major health threat. The extra weight puts added stress on every part of your body. Bone and joint problems -- extra weight puts strain on the bones and joints. This can lead toosteoarthritis, a disease that causes joint pain and stiffness. Drink at least 8 glasses of water a day and try beginning each meal with a glass of water. This ensures that you are getting enough fluids through out the day, and it tends to take the edge off of an active appetite. do not take oily spicy fatty food.Watch what you cook and how you cook it. Choose baking and steaming over roasting and frying and always look for the lower fat food products. You can cook or flavor with lemon juice, herbs, garlic or ginger to your heart's content. You can also use Oriental spices like turmeric, chili, masala, etc - but no MSG! Moderate amounts of salt are OK, but don't overdo it! 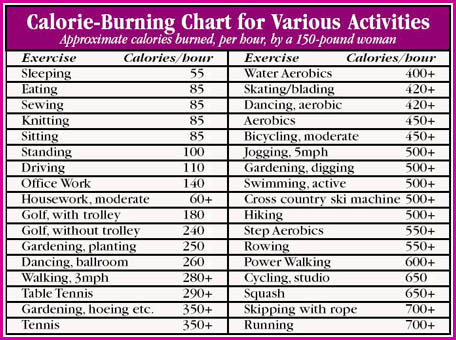 exercise are must for fat burning and yoga 2.to keep ur body healthy and in shape. always eat on time, Eat according to an eating plan. By planning healthy meals in advance, you will be less likely to eat unhealthily on the spur of the moment. Lemon water: Start your morning with having one glass of warm lemon water. For preparing the lemon water, take one glass of drinkable warm water and add limejuice in it and add some honey for taste. You should drink this with an empty stomach or else the results will take long time to be visible. This is one of the very effective home remedies for overweight. in take of guduchi is a commonly used herbfor weight loss , intake of amla ( used in triphla which is used for stomach prob), and intake of guggulu helps in reducing fat. Doing regular exercise like long walk in the morning and evening, yoga and other physical exercise will reduce extra accumulated fat thereby reducing obesity. Butter gourd juice (Karela) taken in the morning can do wonders in case of Obesity by reducing excess fat considerably. Eating raw tomatoes and Onion with a pinch of Salt everyday helps to remove extra fat and reduce obesity. Eating ten raw Sweet neem (Curry patta) leaves everyday, reduces fat and Obesity. Eating Radish (Mooli) daily, helps to reduces fat and Obesity. Chewing Garlic everyday in the empty stomach with a spoon of honey, helps to reduces fat and Obesity. Diet: There is no need to skip any part of the meals. Instead just modify your meals. Instead of eating three bigger meals have five to six small meals. For three months just have vegetable soup for dinner and see how fast you loose your body weight. 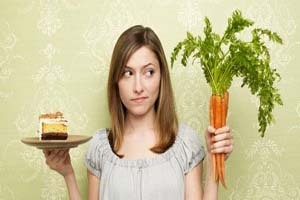 Easting or taking only fruit diet one day in a week also helps to reduce Obesity. Eating Triphala powder (Triphala is composed of Hard (Haritaki), India gooseberries (Amla) and Behada (Bibhitaki)) every night before going to bed, helps to reduces fat and Obesity. Taking Steam bath once in a week, helps to reduces fat and Obesity. Drinking Buttermilk (Chaach) everyday helps to reduce weight and Obesity. Basil Leaves: Add some juice of basil leaves and honey in one glass of warm water and drink it. Drinking this on a daily basis will help you in shedding your weight. Cabbage: Eating cabbage salads for your dinner, is also very effective in the treatment of being overweight. Ginger: Prepare ginger paste and add some honey in it. Having one teaspoon of this mixture three times in a day will help you reducing your weight.